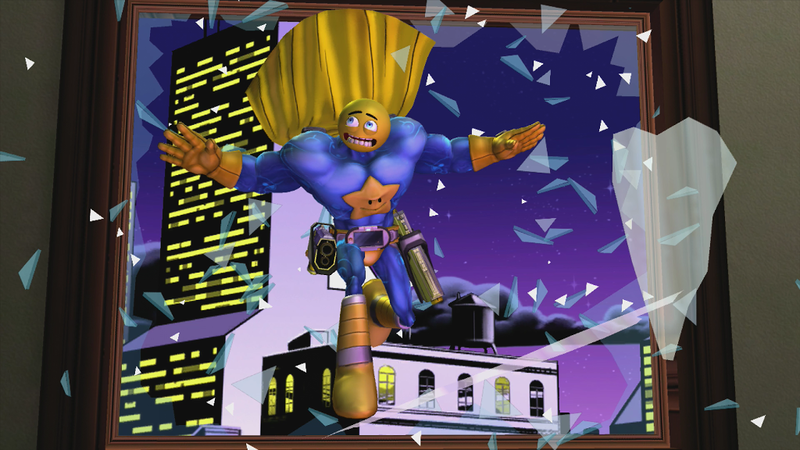 Comic Jumper is a 2.5D action game in which the player must defeat enemies to progress. 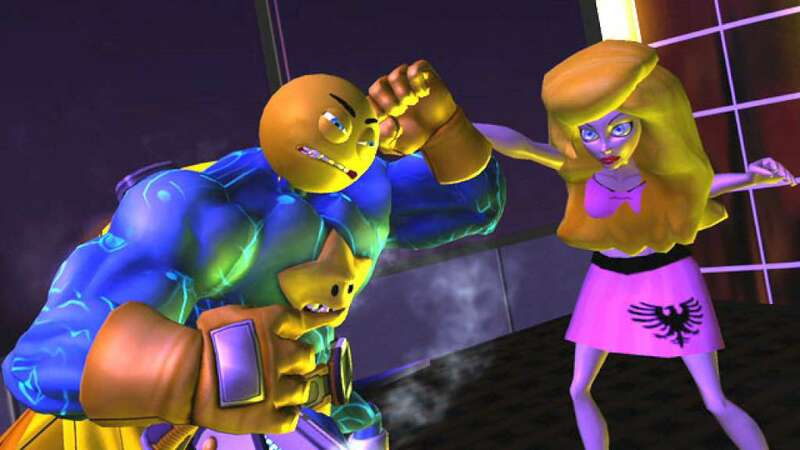 The main gameplay revolves around using Captain Smiley's dual pistols and platforming across levels broken up by various segments which include melee combat, on-rails shooting and quick time events.In keeping with the game's abstract humor, Captain Smiley can call on the game's developers to perform a special attack, in which live action footage of Twisted Pixel employees is shown over the gameplay, with the developers destroying nearby enemies. By performing well in each issue players can earn extra cash on top of their base fee. 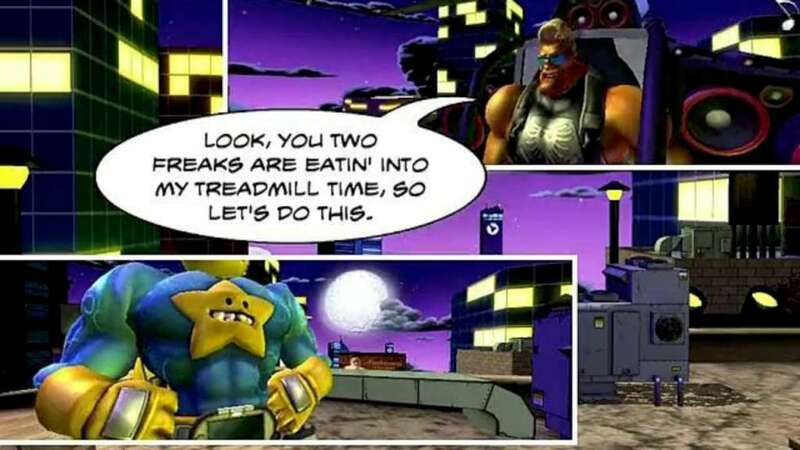 Additional bonuses can be earned by fulfilling reader expectations, which involves things such as completing a certain section without getting hit. 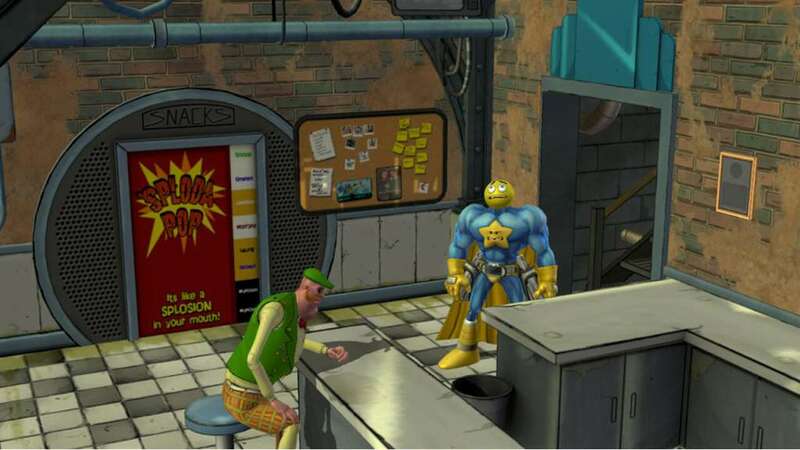 Cash can also be earned by completing special challenge levels or exploring the main base and conversing with characters.Money earned from the levels can be spent on upgrades to Captain Smiley's abilities or to unlock various content, including concept art, interviews, gamerpics and two additional levels for 'Splosion Man. 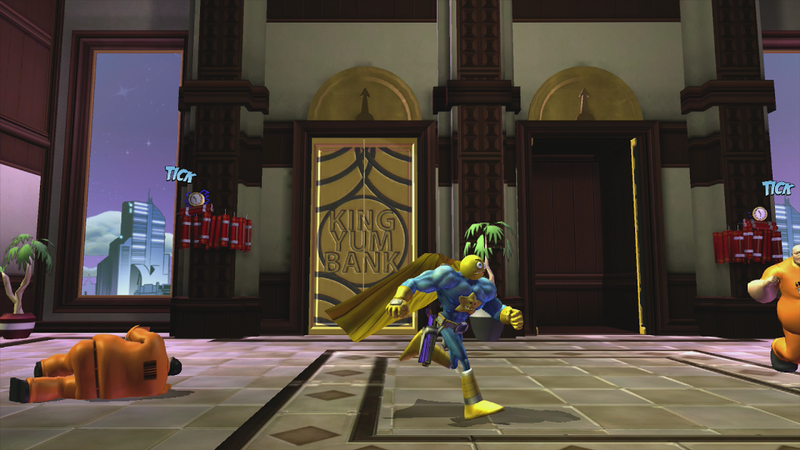 Purchased items and abilities also increase the amount of money Captain Smiley earns from missions.